At the U.S. Department of Energy’s (DOE) Argonne National Laboratory, scientists from multiple disciplines are leveraging their collective expertise and world-class facilities to solve these complex problems. Their efforts are helping to make the U.S. electric grid more resilient against all hazards, from natural events like hurricanes, earthquakes and winter storms, to potential cyber attacks or other acts of terrorism — while also staying adaptive to new technological changes. “The work we do helps ensure that the grid runs reliably on a normal ​‘blue-sky’ day, as well as helps minimize impacts and speed up recovery in case of major natural or man-made events (‘gray-sky or black-sky days’),” said Guenter Conzelmann, program lead for the Advanced Grid Modeling Group in Argonne’s Center for Energy, Environmental, and Economic Systems Analysis. According to Grid Program Manager Mark Petri, Argonne’s multidisciplinary research focuses on three primary areas: energy system resilience, critical infrastructure interdependence and emergency readiness and response, with supporting strengths (or what Petri calls ​“differentiators”) in cyber security, applied mathematics and computing, grid modeling and simulation and energy storage. Among the ways Argonne enhances the resiliency of the grid is by developing and deploying tools that model resiliency and restoration in real-time. These tools help utilities, governments and other stakeholders predict the impact of natural disasters or other disruptions on grid operations and interdependent systems, like local supply chains and data centers. Leading Argonne-developed modeling tools include Hurricane Electric Assessment Damage Outage (HEADOUT), which estimates the likely impacts of hurricanes on the electric sector; the Electric Power Network Modeling method, called EPfast, which examines the impacts of power outages on large electric grid systems; RESTORE, an internal tool that offers insights into physical outage repair times at critical infrastructure facilities for various sponsors, and the Electric Grid Resilience Improvement Program (EGRIP), a system restoration tool that models black-start and power system restoration after a major blackout. Argonne recently used HEADOUT during Hurricane Florence to produce twice-daily electrical outage estimates to predict the impact of the storm and project electric infrastructure restoration needs, based on National Hurricane Center Storm Advisories. These results helped many groups — the North American Electric Reliability Corporation (NERC), independent system operators, DOE — determine response actions so that first responders and utility companies could be ready when the storm hit. As with many other modern systems, the grid has become more and more integrated with networking and computing capabilities, which support real-time control, monitoring and analysis, as well as connections to renewable energy sources and electric vehicles. This diversity of connections and communications has its advantages, but also exposes grid systems to cyber vulnerabilities that could be exploited in ever-more-sophisticated attacks. In Argonne’s Strategic Security Sciences division, program lead for cybersecurity research Nate Evans and his team are among the leading cyber professionals working to identify and eliminate vulnerabilities within the current grid system and find new approaches to make the grid of the future more secure. One forward-thinking approach is the award-winning MORE-MTD, a proactive method for defending a computer network that could help mitigate cyber attacks. In a DOE-funded project, Evans and his collaborators are putting their approach to the test by applying MORE-MTD to secure power management units, which are important control units for energy delivery. The ability to respond quickly to grid failures can limit their impact and make recovery quicker and more efficient. To improve response times, Argonne directly trains system operators on how to handle major disruptions to the grid, using realistic exercise scenarios that replicate real-world response and recovery challenges. Argonne has developed and participated in led multiple drills for regional grid operators, such as the Midcontinent Independent System Operator (MISO) and Independent System Operator (ISO) for New England (ISO-NE), across the country that focus on scenarios ranging from hurricanes and blizzards to earthquakes and cyber attacks. The Laboratory has also developed sophisticated threat scenarios for high-level public/private readiness exercises that enable grid resilience stakeholders to evaluate restoration and recovery decision-making for more effective emergency preparedness. During a 2018 national-level exercise coordinated by the Federal Emergency Management Agency, Argonne simulated a Category 4 hurricane strike — which the Associated Press later called ​“alarmingly similar” to the actual impact of Hurricane Florence just months later. Stakeholders can better understand grid vulnerabilities, the consequences of disasters and the strategies to efficiently recover from grid disruptions by considering the grid as one of many lifeline infrastructure systems that are interdependent and required for communities to thrive. Argonne conducts all-encompassing interdependency analyses and studies to make all infrastructure more resilient – including the grid. When we consider interdependencies, the risks to resilience multiply. At the forefront of energy-related interdependencies research, Argonne is exceptionally prepared to examine the close interplay between the electric and natural gas systems. This relationship has shifted, primarily due to our increased reliance on natural gas as the preferred fuel to generate electric power. Argonne experts have collaborated with industry leaders including NERC and Western Electricity Coordinating Council (WECC). At a regional and national scale, the WECC and NERC studies, respectively, focused on revealing the expected impacts to grid operations given postulated disruptions in the supply and delivery of natural gas as a fuel to generate electricity. In addition, the Argonne team has trained grid operators at MISO on gas-electric interdependencies and continues to customize the NERC’s national electric Grid Security Exercise (GridEx) V storyline to include gas industry participants. This exercise, set for November 2019, will allow grid operators and operators from various infrastructure systems to interactively play out the cross-sector impacts and response caused by gas-electric, telecommunications and water interdependencies. Following Hurricane Maria in Puerto Rico, Argonne — in partnership with the Department of Homeland Security — provided wide-ranging recovery support for interdependent critical infrastructure systems. At the same time, another Argonne team coordinated the DOE efforts to assist Puerto Rico in planning a more resilient electric grid, accounting for vulnerabilities in telecommunications and natural gas infrastructures. Transitioning to the grid of the future requires an educated and prepared workforce. One of the ways Argonne is helping prepare the next generation is by leading DOE’s CyberForce Competition™, a multi-laboratory competition that draws students from across the Unites States to compete in a cyber defense scenario. CyberForce scenarios are intentionally designed around energy-related infrastructure, such as a water or energy distribution network, to help students understand their critical role in safeguarding these critical assets. The competition, first developed at Argonne in 2016, has expanded across the DOE complex. ​“Through events like the CyberForce Competition, we develop people who have a cybersecurity mindset and prepare them to fill the much-needed roles within the workforce,” said Evans, one of the competition co-founders. While the grid is already a complex, sophisticated system, it is becoming even more complicated as people and organizations add their own energy sources into the mix. “We’re entering a system with renewable energy sources that change and shift producers, like changing from solar to wind. We’re also entering a system where grid consumers have more choices because of these renewables,” said Pete Beckman, Argonne computing expert and co-director of the Northwestern/Argonne Institute of Science and Engineering. Renewable sources are giving consumers more control in how they purchase power and interact with the utilities — a departure from the traditional method of distribution (where utilities were the sole providers) around which the grid was originally built. “We’re moving toward a system where we cannot control the fuels. With wind and solar, there is less operational control – the sun shines or it doesn’t, the wind blows or it doesn’t. Yet we still need to run the grid safely and securely,” said Conzelmann. One of the ways Argonne is working to anticipate how shifts in distribution will affect future grid operation and what that will mean for managing these next-generation systems is by investing in sensors that can be added to grid systems. Argonne has also developed an open source hardware and software platform, Waggle, that supports sensors and ​“edge” computation in the field. In other words, Waggle devices co-locate high-performance computation, which can be programmed remotely, with the sensors themselves. 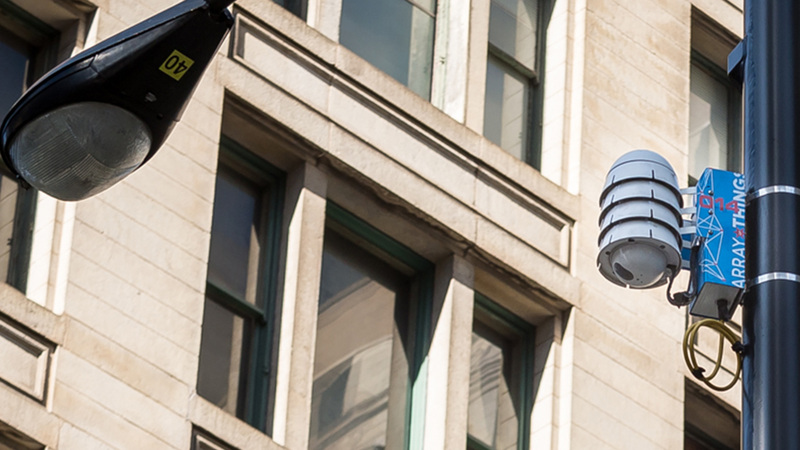 Researchers have installed Waggle in urban areas at a large scale. 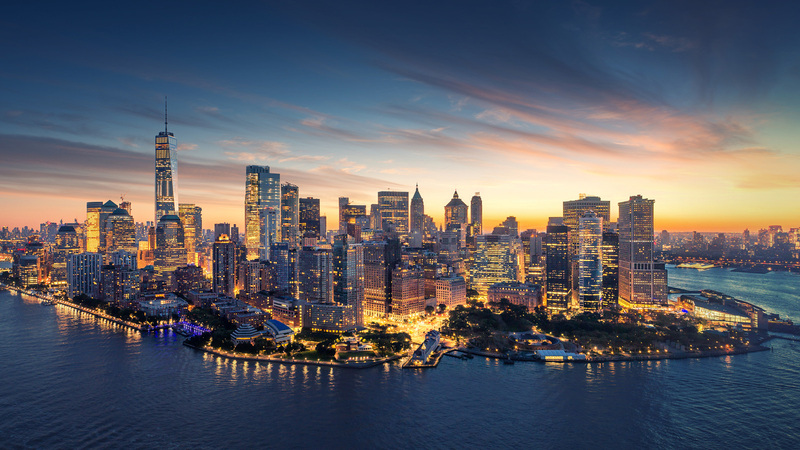 For example, researchers with Chicago’s Array of Things project installed over 100 devices (growing to 200 in early 2019). Each device helps analyze images and sound, tasks that define edge computing. Because researchers can program Waggle devices remotely, scientists can add new ​“sensing” capabilities as needed, such as using images to detect flooding, drone activities overhead or traffic patterns. Waggle’s edge computation also allows scientists to install high-bandwidth sensors in areas without high-bandwidth internet access. In these cases, researchers use edge computing to analyze the data in real time, capturing specific patterns or events of interest based on this analysis or alternatively based on input from other sensors ​“triggering” measurements. 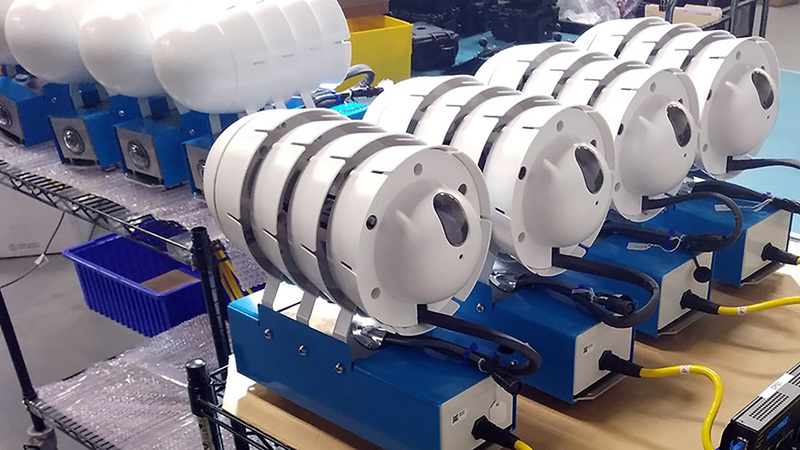 Argonne’s Waggle team has also partnered with Exelon to explore the use of Waggle to support field deployment and real-time analysis in the field for power quality sensors. Will batteries unlock the grid? Another way Argonne is preparing for the future is by investing in the development of new, faster and cheaper battery materials and technologies that could help to regulate electricity in an era of distributed production. Today, battery technologies already play a small, but visible, role in the grid, helping to balance frequencies across the system. But behind the meter, where renewable technologies like rooftop solar panels are making inroads, batteries are not yet commonplace. In locations popular for renewables, such as California, excess electricity generated from these sources is pumped into the grid, which can strain and overload it, undermining its reliability, said Venkat Srinivasan, director of Argonne’s Collaborative Center for Energy Storage Science. Incorporating more batteries behind the meter, he argues, can help alleviate the strain and protect consumers. “There is always a chance that a grid failure will occur at some point somewhere. If I have my own source of energy storage, I have a better chance of being protected. So for homeowners and business owners, having an energy storage solution makes a lot of sense in terms of long-term reliability,” he said. For Petri, it’s the increasing complexity of grid-related issues that drives the need for Argonne’s deep and broad multidisciplinary approach. By helping to keep America’s electrical grid humming, Petri and his colleagues across the laboratory are securing our nation’s energy future. Argonne’s grid-related research is funded, in part, by DOE’s Office of Electricity, Basic Energy Sciences Program and Office of Cybersecurity, Energy Security, and Emergency Response. Dr. Stephen M. Folga is a senior manager in the Risk and Infrastructure Science Center at Argonne National Laboratory. For nearly half of all companies, up to 60 percent of their IT systems reside in the cloud—a collective name for networked Internet computers that provide scalable, flexible, and economical computing power. The same benefits apply to the U.S. electric grid, which increasingly processes vast amounts of data. As smart meters, sensors and other networked components get added to the electric system, the cloud can help manage all of this data. But cloud security is one of the top concerns for utility owners and system operators, a barrier for the power industry in moving to the cloud. Argonne scientists are working on ways to facilitate cloud computing for grid operations and planning. A framework being developed at Argonne masks sensitive data, allowing grid operators to perform complex calculations in the cloud that determine the dispatch of resources when and where they are needed. By doing this without compromising data security and integrity, grid operators can take the electricity system into the future while avoiding costly investments in computer infrastructure. Today’s large power transformers are operating within a swiftly changing U.S. electric system. These transformers, which regulate the voltage flowing between power plants and customers, need to be made more adaptable to fluctuating renewable energy supplies as well as increasing risks from extreme weather events. A cost-effective, flexible Hybrid Solid State Transformer (H-SST) being developed partly at Argonne will serve as a building block for next-generation large power transformers. The H-SST can help large power transformers recover more quickly when problems occur, and it can enable advanced control functionalities needed in a smart grid. Advanced sensor technology will be used to collect data from the H-SST, monitoring its health status and enabling its long-term reliability. The two-year project, which has received a $2.1 million award from DOE, leverages Argonne’s capabilities in condition monitoring, control and protection for technology innovation that is critical for a more flexible, resilient electric grid. As they build their electric grids and evaluate opportunities for mutually beneficial power exchange within regional electricity markets, countries in Asia and Southeast Europe are relying on a tool initially developed to help manage hydroelectric dam resources in the Western United States. The Generation and Transmission Maximization Model, or GTMax, simulates regional or national electricity systems, helping grid operators to study complex electricity market and operational issues for a given system. First developed in the 1990s at Argonne, GTMax began as an effort to determine optimal hydropower levels at Arizona’s Glen Canyon Dam, given operating constraints designed to protect the surrounding ecosystems in the Grand Canyon National Park downstream of the dam. Since then, Argonne researchers have built on this initial model development to create a next-generation power system analysis tool called CHEERS, which has the unique capability to simultaneously optimize water, power, and environmental performance. Meanwhile, use of Argonne’s advanced analytics has greatly expanded around the world, including in Central Asia, Myanmar, the Philippines, and the Black Sea region. While these tools have been used to perform studies for specific markets, they are not just delivering one-off reports to decision makers. Adaptable and easy to use, Argonne’s advanced analytics are becoming an integral part of planning on the ground, building capabilities among grid professionals at the local level.